Release Date: January 6th, 2017 – U.S.
A bullied little English boy, Conor (Lewis MacDougall), lives alone with his mum (Felicity Jones), who is very ill and isn't getting any better. He has a grandmother (Sigourney Weaver) who appears to be stern and distant, and a deadbeat dad (Toby Kebbell) who moved to L.A. and started a new family of his own there – one that doesn't include Conor. If all of that wasn't difficult enough, when the clock strikes and the hand moves from 12:06 to 12:07, the lad is besieged by nightmares – or are they visits? – from a monster (voiced by Liam Neeson). The monster, which takes the form of a giant yew tree, promises to tell Conor three tales and then expects to hear one from the boy in return. The tales are narrated by the monster and animated to look like hand-drawn paintings. Their grim beauty lets us know we're not in Disneyland this time. The first tale is about an evil queen, a poisoned king, and a young prince. The second tale focuses on a disgraced apothecary (pharmacist) and progressive preacher. Neither ends the way you'd expect. Both frustrate and befuddle the anguished child. All of them contain verbal and visual clues that call back to the boy's real-life troubles. As the second tale suddenly segues from fantasy to reality, its dazzling destructiveness is sure to elicit gasps. I certainly had my hand over my mouth. I know what you must be thinking: "Fairy tales?" "A tree monster?" But it's never silly. It's serious and sad. It works. I credit that its superb combination of acting, writing, directing, cinematography, and artistry. Director J.A. Bayona and Cinematographer Oscar Faura went through "The Impossible" together and deliver a visual tsunami of a different kind in "A Monster Calls." Liam Neeson is such an extraordinarily gifted actor that he's able to bring credibility to a living, breathing tree. Sigourney Weaver's English accent is never distracting, which is all you can ask for, and her character arc and performance encompasses a wide range of attitudes and emotions. In another actor's hand, the temptation would have been strong to chew the scenery and play up the accent to the hilt, but Weaver wisely delivers a lovely and understated performance. Felicity Jones's role as a gravely sick mum could have easily devolved into tearjerking overacting. Instead, it's genuine, heartfelt, and never manipulative. Her speech to Conor late in the film is wonderfully written and acted. 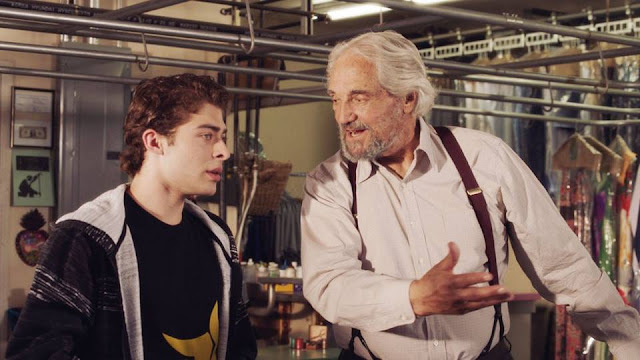 As skilled as the cast is, the real standout is 12-year-old Lewis MacDougall, whose wounded portrayal of Conor never hits a false note. Scene by scene, frame by frame, this is a real kid, not a cloying child-actor. He has been tasked with the monumental responsibility of carrying the movie on his back – without the right person in his position, everything else would fall apart – and he succeeds. The screenplay and book of the same name were written by Patrick Ness. Its origin is a sad one. The idea for the story is credited to Siobhan Dowd. 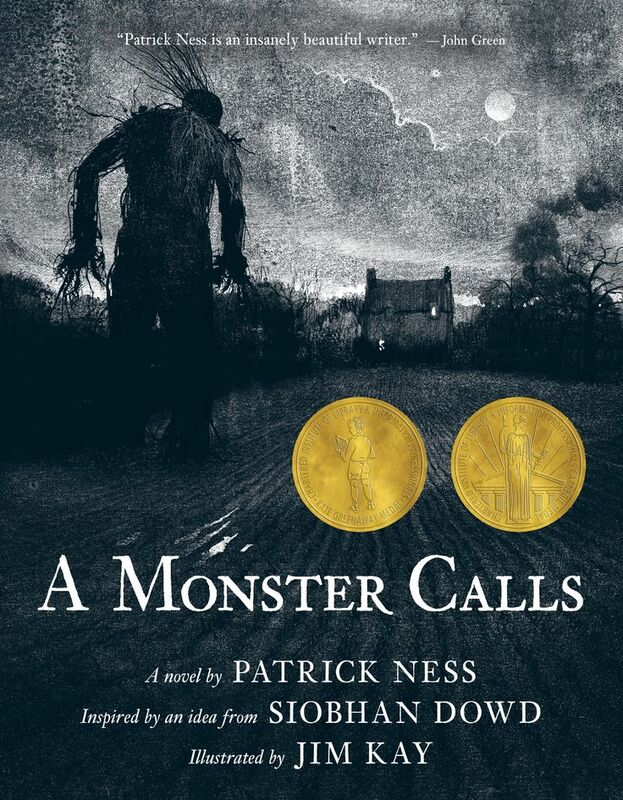 Before she died of breast cancer at the too-young age of 47, she came up with "A Monster Calls." In the Author's Note, Ness explained: "This would have been her fifth book. She had the characters, a premise, and a beginning. What did she didn't have, unfortunately, was time." His only guideline, he felt, was "to write a book I think Siobhan would have liked. No other criteria could really matter." Siobhan Dowd's personal story seems intertwined with every page Ness penned. The film can be depressing. Parts of it feel like a storybook come to life but never a whimsical one. Children are likely the target audience and there are certainly lessons here they can learn, but is this really suited to them? I'm struggling to say for sure. 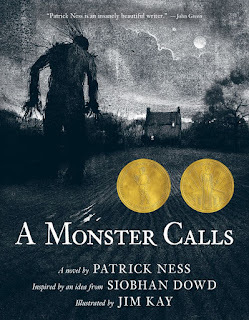 "A Monster Calls" is a beautifully-realized parable about a young boy's grief, anger, pain, and doubt, and all the messy ways in which those conflicting emotions can manifest themselves. The story will take you on a journey to very center of his soul.